Microsoft’s has taken a better way to place emoji in written sentence and keyboard is smart enough to search emoji for particular words. 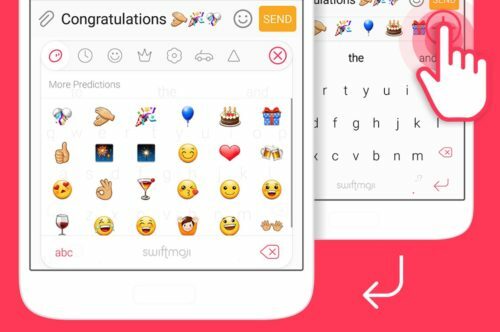 As they launch Swiftmoji keyboard app this week as this app is available on both Android and iOS. The app offer emoji prediction on the sentence you written same as Apple keyboard in iOS you just type and keyboard help to replace word into emoji as pictures say thousand word which can’t describe by words. The whole idea behind this type of advancement in today ages because things are getting more simple than earlier as now a days user only conveys there thought without using words or sentence as it become old fashion to say but for example in mood of happy user send smileys which signifies mood of happy and many live example like this that how these emojis and stickers taken words off from conversation. 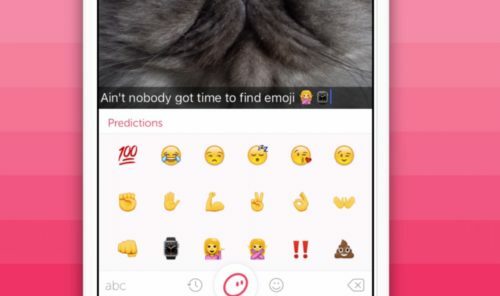 As tech giants called it as “conversation as a platform” which include stickers, emoji and many others. Conversation platform taken most places in our app like FaceBook Messenger, iMessage, Hangout, Skype, WhatApp and so on which mostly emphasis on these products like emoji or stickers which make chat more interesting. Apart from these tech giants also builds messaging bots which make our work more easier. Swiftmoji app is simple and easy to use interface just you simply type and it predicts a certain emoji for that words. App is available on both major platform Android and iOS user can download it simply by search this app in Stores of different platform. App works fine without any hiccups or slow downs it just works perfect. As Microsoft purchase Swiftkey earlier this year which is best keyboard around the word which crossed 300 million user around the world which is very heavy responsibilities to provide them seamless experience. Microsoft also mention that they are using Swiftkey capabilities around whole Windows product line which really opens door for Windows 10 platform also. So we hope that we get Swiftkey keyboard in Windows 10 platform anytime soon.